Last weekend we headed up the Coast for a holiday. 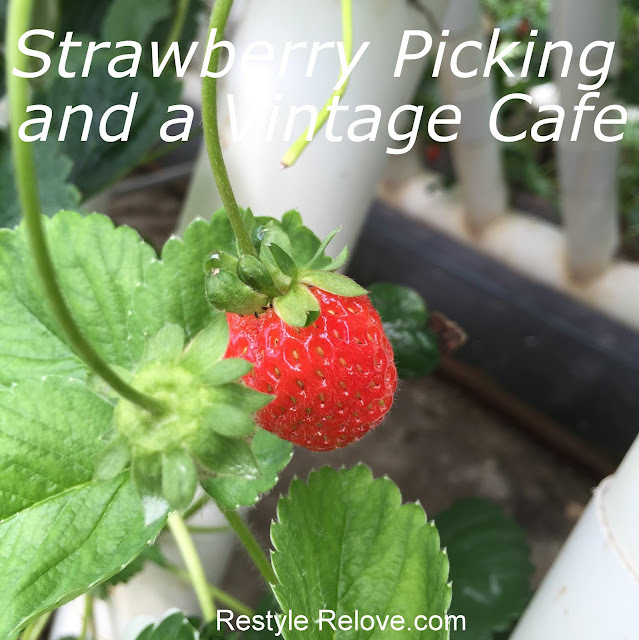 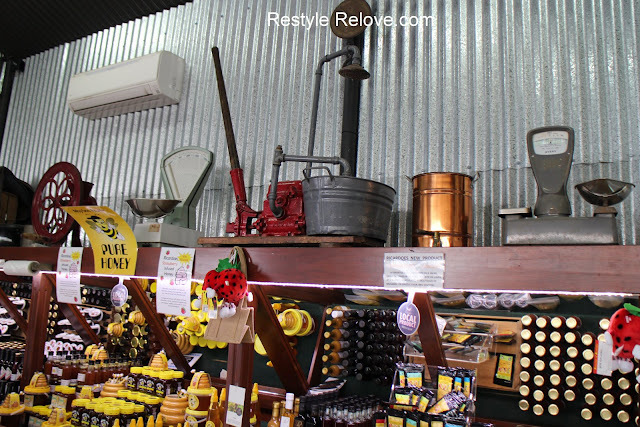 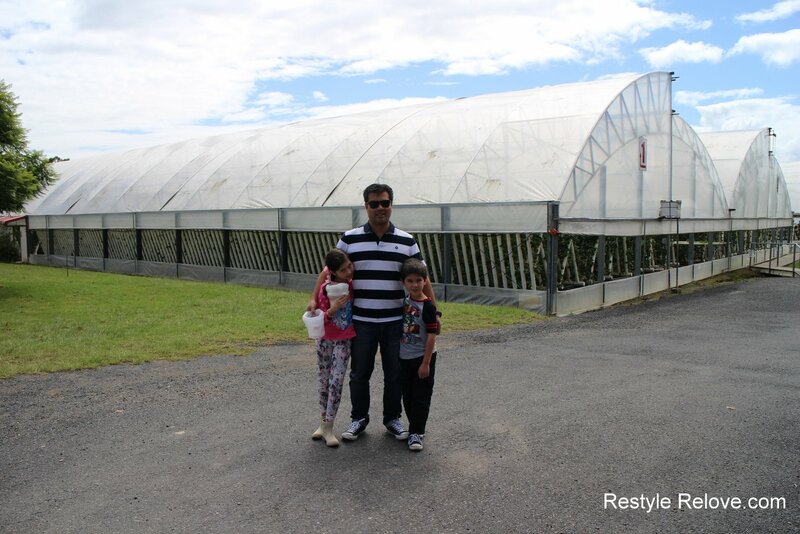 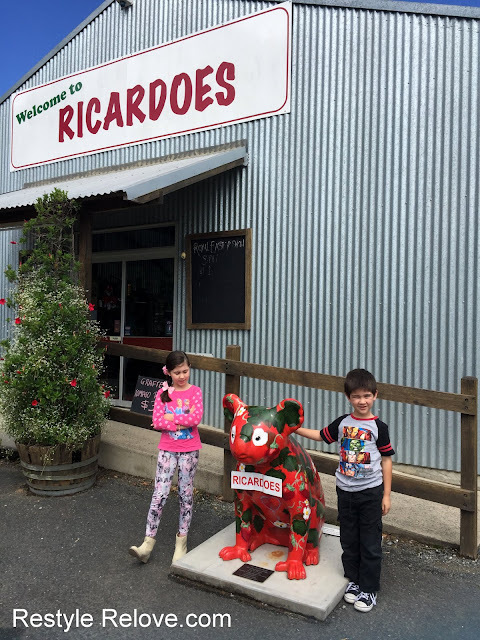 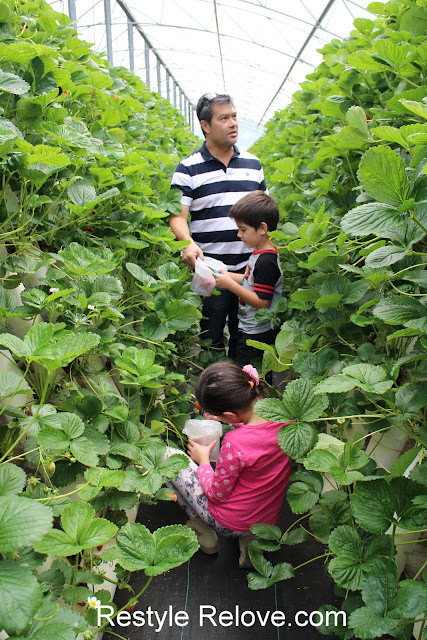 We called in to a place called Ricardoes in Port Macquarie to do some strawberry picking. 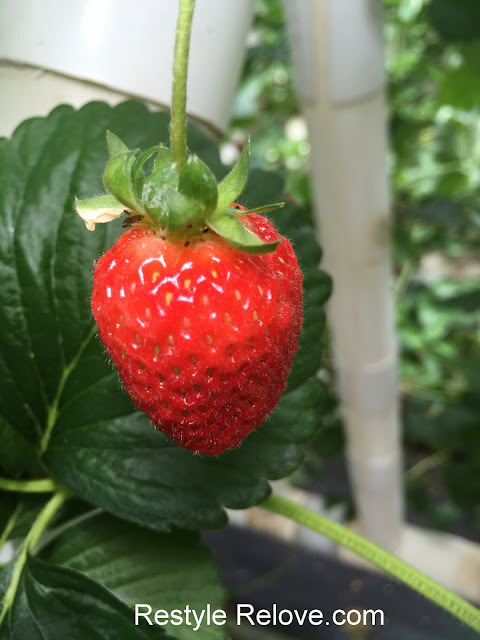 The strawberries are all hydroponically grown in large greenhouses. 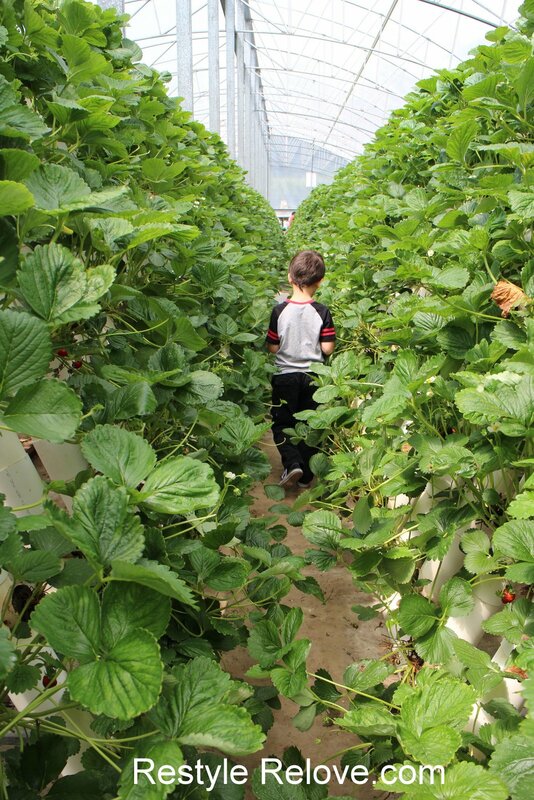 You get to cut them fresh off large PVC pipe trellises. 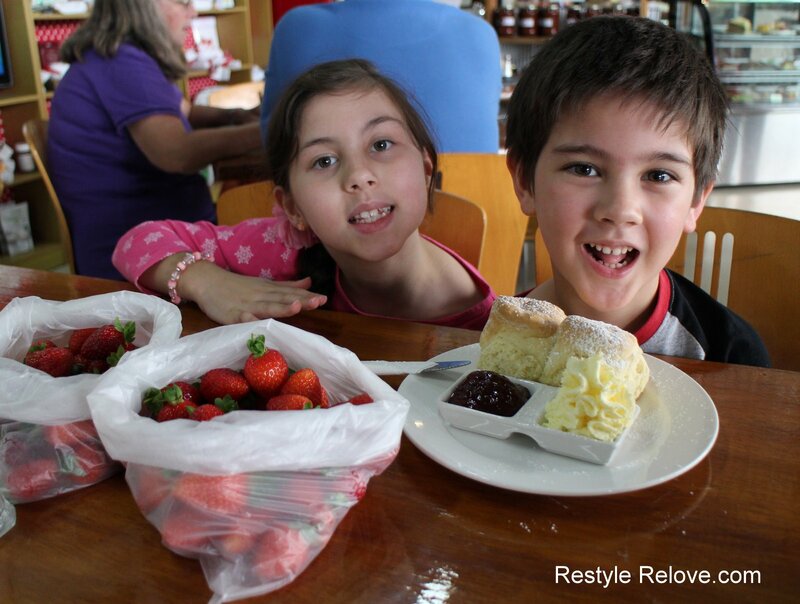 Afterwards we had scones at their cafe. Yummo! 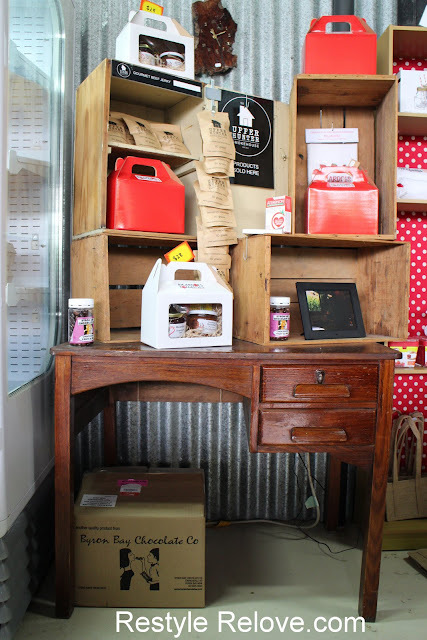 The cafe had some really cute vintage touches, including this really cool desk. And all these vintage goodies on display above their fresh produce! If you are ever in the area, I highly recommend dropping in. 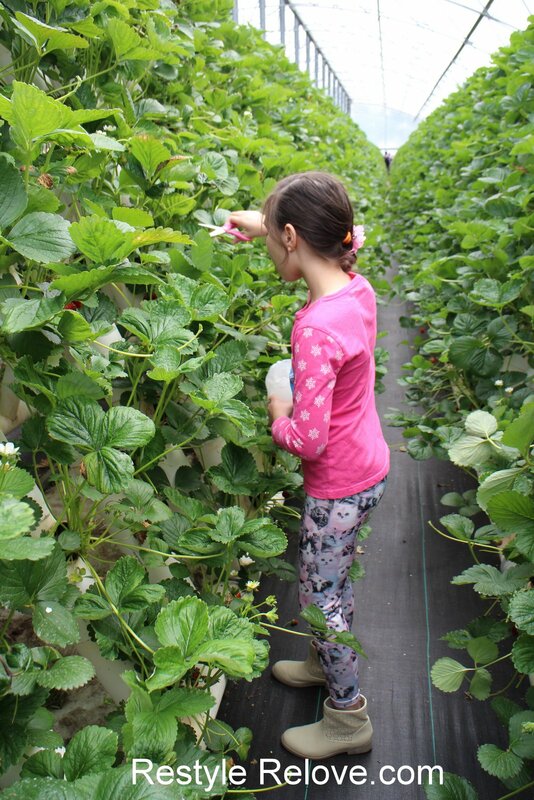 Strawberry picking is the best!